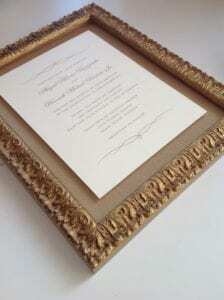 Let us help you frame the invitation for the special event or wedding. 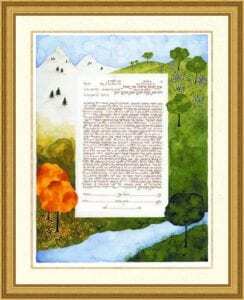 Framing the happy couple’s invitation is a very popular and thoughtful wedding gift. Our designers will create a unique layout and framing to complement the couple’s style. 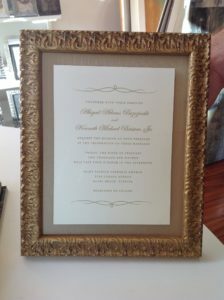 Give the bridal couple their own framed wedding invitation, beautifully framed with a custom touch! Let us help you match all the personalized color and style of the invitation with a custom made frame to match the invitation. 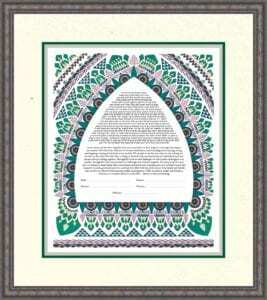 We have experience framing hundreds of ketubahs over our 35 years. Each one is unique, irreplaceable and a work of art that deserves custom framing. We will find the right frame that is just as special as this sacred part of the ceremony.